The red phone booths dotted along the Four Rivers Bike Trail are hard to miss. 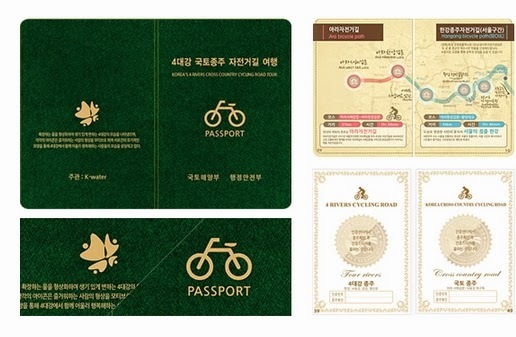 Stamping is free, but you'll need to pick up a stampbook (인증수첩) for 4000원. 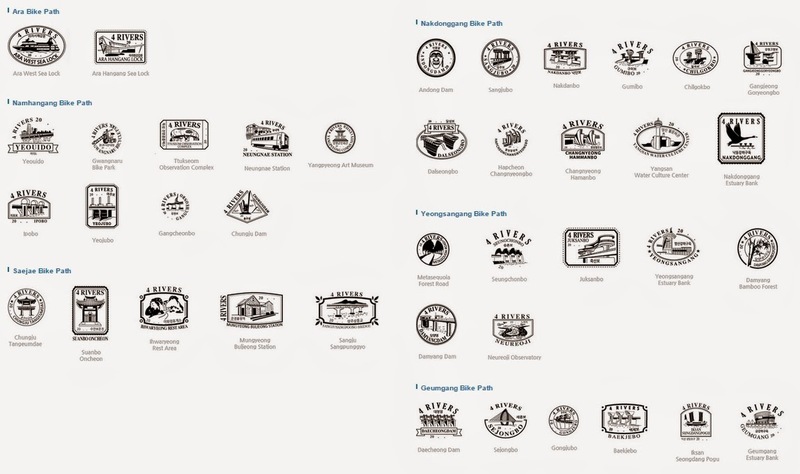 Paper maps with some great biking trail advice are 500원 each and recommended. Click here to learn more about how the passport system works. 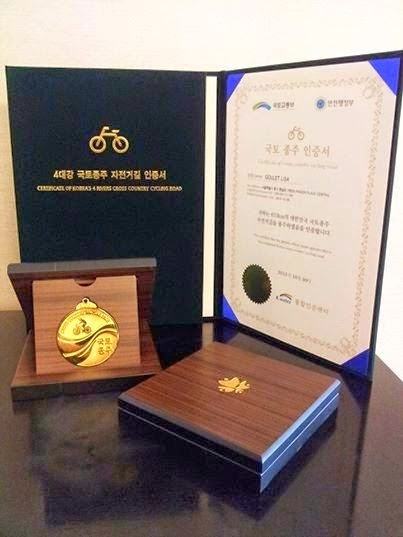 Completing the entire course and submitting the passport to the Korean Water Authority will net you a lovely medal and certificate that will surely bore your significant other but make you beam with pride and joy each time someone asks you about it. - buy it online and have it delivered to your home or place of work. Since I don't live near one of the manned stations and their times of operation didn't with my schedule, like most people, ordering online is the easier option. 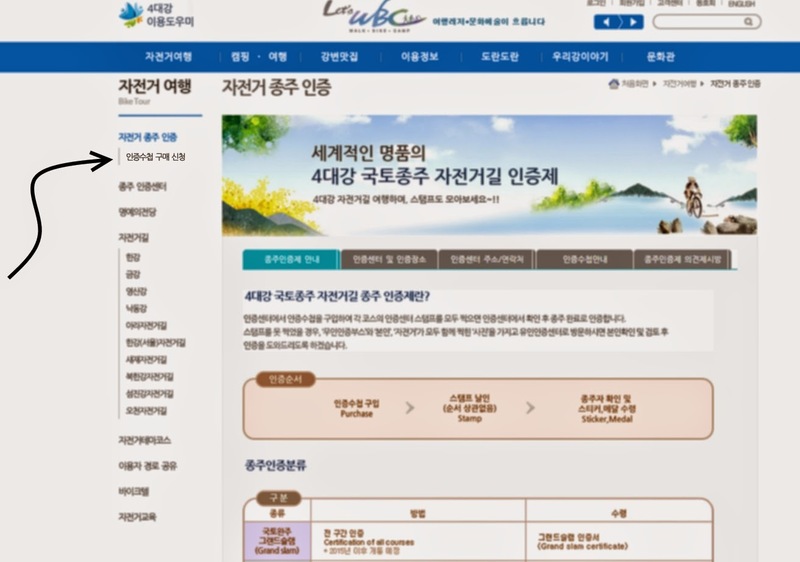 The website is in Korean but even if you aren't totally fluent, it's not that hard to do with a bit of help. 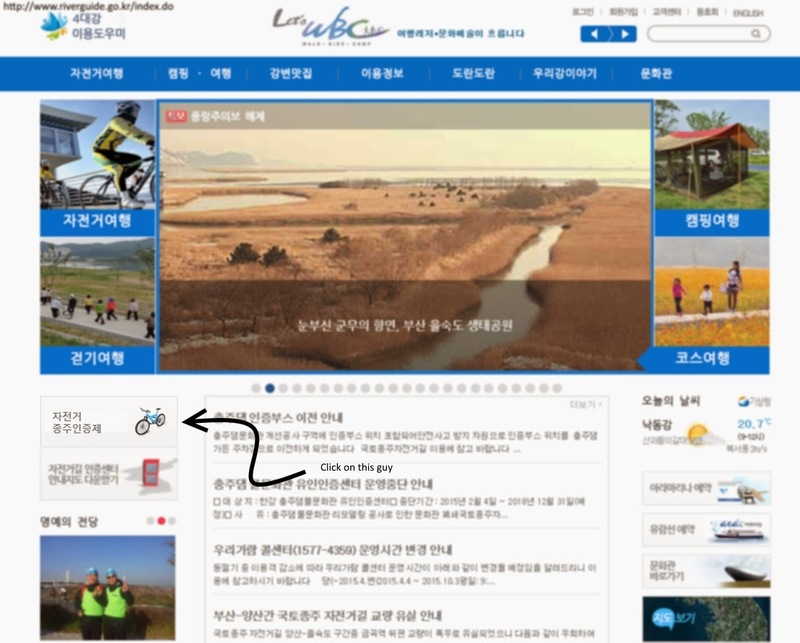 - Click on 자전거 종주인증제. - Click on 인증수첩 구매 신청. 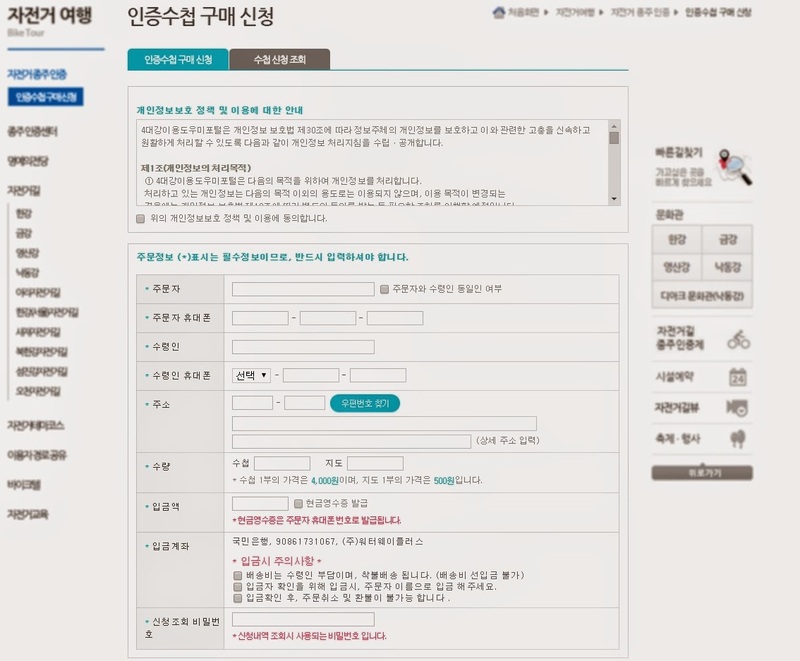 - Have a Korean speaking friend help fill out your information. - Wait 2-3 days. Pay shipping costs on delivery.